Owner of Blaze Pizza Says "He'll Destroy Major Chains Like Pizza Hut, Domino's & Papa John's Like Netflix Destroyed Blockbuster"!!! A Chipotle-style pizza chain endorsed by LeBron James is taking over America. Rick Wetzel, Blaze Pizza’s cofounder, told QSR Magazine that he expects to deliver a “big blow” to major delivery chains like Domino’s, Papa John’s, and Pizza Hut. Blaze Pizza plans to have 500 locations by 2020. The chain opened 50 restaurants across the US in 2014 in cities like Miami, Washington DC, and New Orleans. This year it plans to open 60 to 70 new locations. Customers build pizzas by choosing from seven cheeses, eight proteins, 20 vegetables, and three sauces, Jim Mizes, the president and chief operating officer, told Business Insider. The pizzas are then placed in a stone hearth oven. They’re ready in about three minutes. In 2011, Rick and Elise Wetzel, founders of Wetzel’s Pretzels, went looking for a fast-casual pizza chain. They came up empty-handed. The couple enlisted the help of renowned pizza chef Bradford Kent to open a “better pizza” chain. Mizes said the fresh ingredients and stone hearth oven made the product taste better. 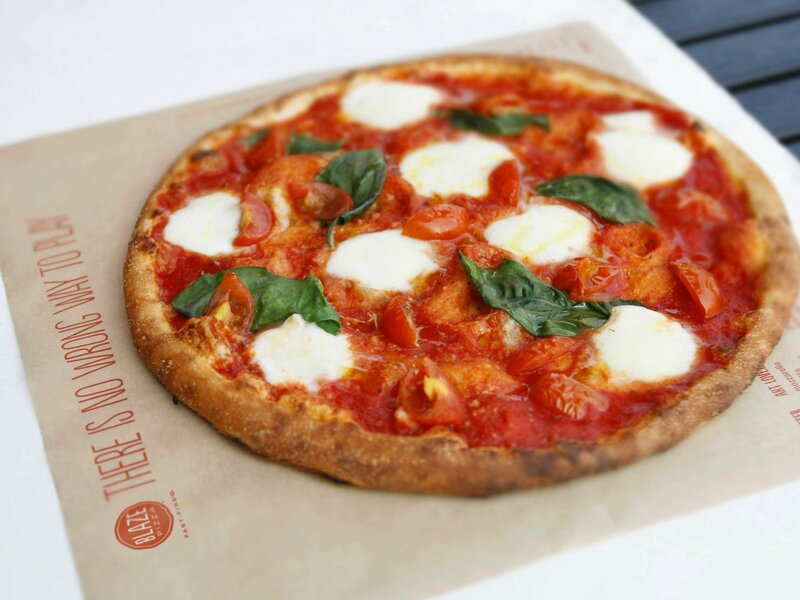 Blaze Pizza makes the dough by hand and lets it rise for 24 hours before serving. The chain’s modern architecture was influenced by Chipotle. The restaurants have a sleek, modern, urban feel with lots of stainless steel and reclaimed wood. 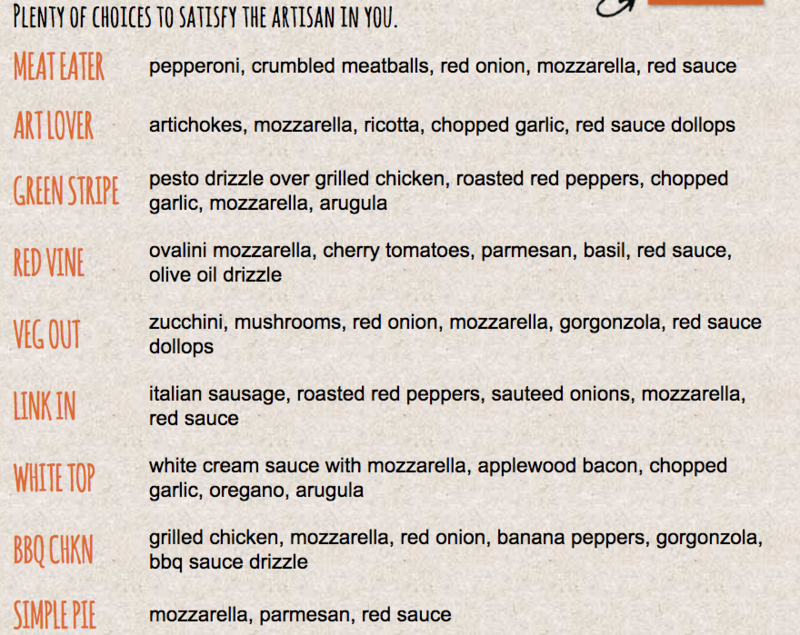 Here are some selections from Blaze Pizza’s menu.